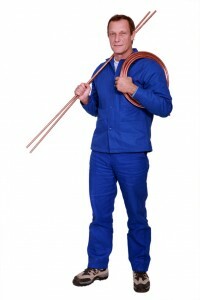 Plumbers have an important job – they install and repair the pipes in your house or place of employment. If a problem arises with your drainage system, sewage system, or water system, a plumber is the person to call to have it repaired. Some plumbers specialize in different types of systems, so depending on the problem that you are having, you might have to call a specialist, or find a plumbing repair company like Infinite Plumbing, that handles everything. While you are searching for a plumber, be sure to ask about insurance coverage and proper certifications, as all operating plumbing companies must have these. Knowing when to call in a plumber is important. Some of the simpler jobs, for example, unclogging a drain, can be tackled on your own, but when you have already attempted to unclog the drain and have not had any luck, then you will need to call in a professional. A licensed plumber has access to tools and other devices that you do not, as well as the fact that he has many years of experience when it comes to unclogging drains. But I Can Do It Myself! While you may be able to unclog a drain on your own, some things should not be attempted by anyone besides a professional. If you have a broken or leaking pipe, major or minor flooding, toilet problems, or even a leaking faucet, you are better off calling a plumbing company. Trying to fix these things on your own could cause more problems, and result in a higher repair bill. The amount that you will have to pay for your plumbing repair job depends largely on the complexity of it and the parts that are required to fix it. Much like a mechanic, only for pipes, you will be charged for both labor and materials. It is hard to put an estimate on something without knowing exactly what the problem is, and a good plumber will diagnose it first.